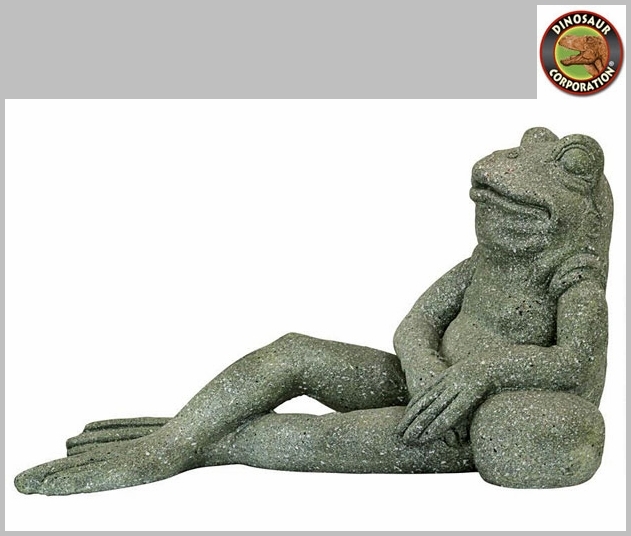 Frog Garden Statue Outdoor Pool Sculpture. 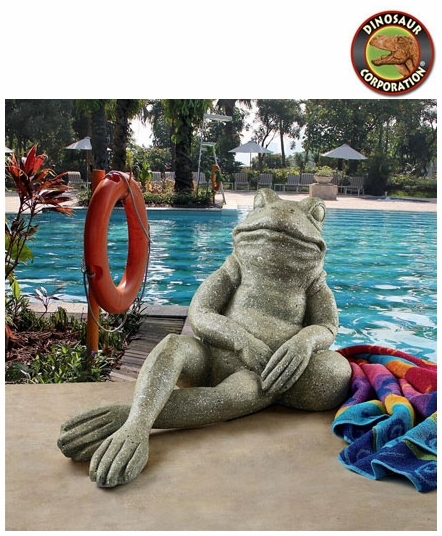 The envy of woodland creatures everywhere, this amazing work of garden decor has something to croak about when he considers his gold medals in the yard art Olympics and the time he jumped past the great ape for placement on the cover of Jungle Animals Monthly. * Size: 24" W x 12" D x 13�" H.